Girls on the Run (GOTR) is a transformational physical activity based, positive youth development program for girls in third to eight grade; designed to develop and enhance girls’ competencies to successfully navigate life experiences. Heart and Sole (grades sixth through eighth). The mission of Girls on the Run is to ‘inspire girls to be joyful, healthy and confident using a fun, experience-based curriculum which creatively integrates running’. 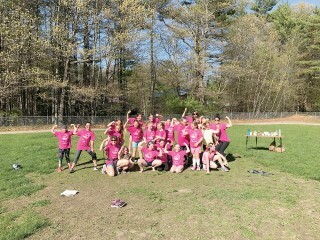 This spring Girls on the Run Windham had an amazing turnout with a team of 20 girls. The goals of the program are to develop and improve competence, unleash confidence through accomplishment, develop strength of character, respond to others and oneself with care and compassion, create positive connections with peers and adults and make a meaningful contribution to community, all while establishing a lifetime appreciation of health and fitness. 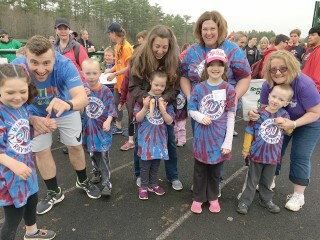 Last week on May 16, the girls with the support of their family, friends and teachers, participated in a practice 5K. The team has been practicing for 9 weeks and on Sunday June 4 will celebrate their accomplishments, along with other GOTR teams across the state, at the final Celebratory 5K at Cumberland Fair grounds. GOTR Windham 2017 team members include: Emma Alden, Bella Bragdon, Kendra Chalmers, Claire Chartier, Madison Cook, Zoe Dries, Sasha Funk, Ava Gerrity, Jenna Gray, Ava Lamkin, Zocia LaWind, Ella Lewis, Delilah McLaury, Avery Mentzinger, Lucy Rich, Olivia Saucier, Riley Small, Grace Snow, Maddison Vaillancourt, and Riley Yates. The girls are coached by Linda Berry, Jess Carle, Rachel Pelletier, and Jess Weatherbee. Our vision for Windham is to ultimately have a Girls on the Run and a Heart and Sole Program in place so that more girls can have the opportunity to be a part of a team and work towards the Girls on the Run Mission. Please visit www.girlsontherunmaine.org to learn more! 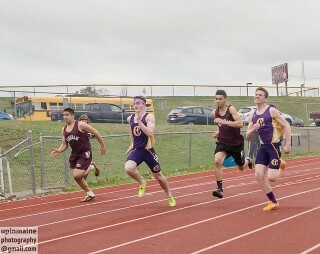 The one mile race. 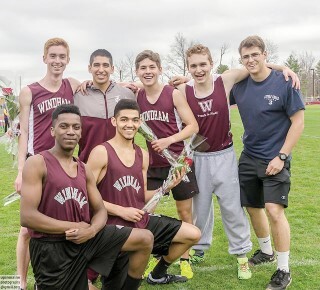 Windham team are Ben Breton ,Jeremy Bennett ,Hunter Dionne and Jordan Piechowski. Jeremy Bennett and Ben Breton are both qualify for state. Tanner Bernier, a junior at Windham High School is the Aroma Joe’s Athlete of the Week. 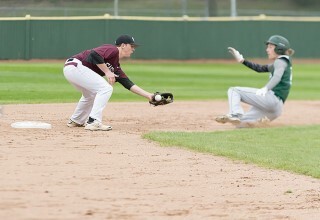 The 17-year-old, who participates in football and baseball believes kids should play sports because it is a way to keep active and helps to build good relationships with other people. Bernier said that teamwork is the most important thing he has learned playing sports and believes it will help him later in life. During his down time, he enjoys fishing, swimming and hanging out with friends. When he graduates from high school, Bernier’s goal is to attend a four year college. Bernier lives at home with his mom (Lisa), dad (Scott) and sister (Taylor). Project ACES (All Children Exercise Simultaneously) was the inspiration for schools throughout the district to get everyone up and moving last week. “Participating in this international event is one fun way to help build healthy habits in students,” said RSU14 Wellness Coordinator Donna Morton. Project ACES is a signature program of the Youth Fitness Coalition, Inc. Created in 1989 by physical education teacher Len Saunders in order to motivate children to exercise, the annual ACES event takes place on the first Wednesday in May as part of National Physical Fitness and Sports Month. According to their website, the media has labeled the event “the world’s largest exercise class.” On this day, children all over the world exercise together beginning at 10 am. Each school sets up the program however they wish – walking, jogging, dancing, aerobics or any other form of exercise. The program doesn’t have a specific routine, so it’s left to participants to be creative. Although weather and logistics prevent all schools in RSU14 from participating simultaneously, each school participates in whatever way they can, with the goal of building healthy habits across the district. The connection to a larger event, even when circumstances prevent real-time participation, motivates children. “Even more motivating is seeing everyone in their school get involved. When students, teachers, custodians and administrative staff are all participating, the kids realize that fitness and good health is for everyone,” Morton said. “Seeing teachers and staff modeling these healthy behaviors is good for the kids”, she added. “It’s not just teachers saying we’re doing this because it’s Phys Ed. It’s something that everybody needs to do,” she said. RSU14 has been participating for a couple of years in the ACES day. As the wellness coordinator, she sends a note to each building as the day approaches. How each school participates varies from year to year. Last year, for instance, staff and students at Jordan Small Middle School met in the gym for a line dance. This year, the high school Health Fair Day had activities built into the schedule; Manchester School participated by walking the track together; and at Raymond Elementary School, the physical education teacher led a circle of activities that included stretches, running in place, jumping jacks, push-ups and more. With 900 students at Windham Primary School, Morton said it’s a challenge to get the kids all doing something at the same time. The rain and inclement weather this year didn’t make it any easier, but staff got the students out and moving as they were able. Participating in the ACES event is just one way the district promotes healthy habits. Another program they support is: 5-2-1-0 Let’s Go, which encourages children to eat 5 servings of fruits and vegetables, have 2 hours or less of screen time, 1 hour of exercise and 0 sugary drinks per day. Anything the district can do to get kids moving, build healthy habits and make fitness fun is important, Morton said. “Healthy body, healthy mind - they go hand in hand,” she added. 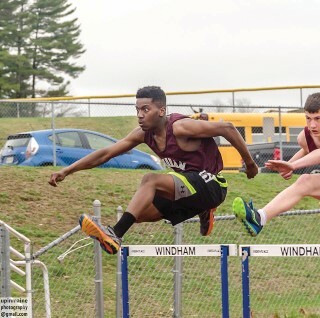 On April 28, over 500 athletes competed in running, throwing, and jumping events at the Cumberland County Special Olympics, hosted by Bonny Eagle. It was a beautiful day where there were no worries for the participants and a day where everyone was proud of their efforts and personal accomplishments. Thirty-three participants from K – 12 represented Windham/Raymond School District. 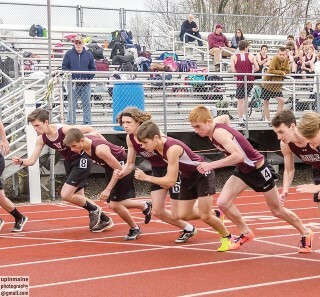 In June, ten of them will be moving on to the State Meet at the University of Maine at Orono. Athlete of the week is Anna Cancelarich. Congratulations! 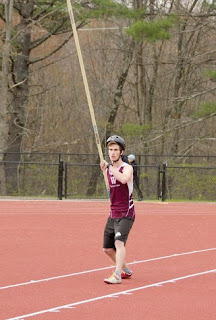 Anna Cancelarich, a junior at Windham High School is The Windham Eagle’s Athlete of the Week. The 17-year-old believes kids should play sports because it helps to keep them active and it builds character. Cancelarich loves to be outdoors paddling boarding and hiking. She also loves hanging out with her friends, enjoying the young life. She has also learned how to be a positive teammate, naming her brother, Dominick as the most influential person in her sports career. “He was my inspiration to be the best athlete possible.” Cancelarich said. She plans to get a degree in science from Penn State and plans to study abroad. Cancelarich lives at home with her mom (Lila), dad (Paul) and her brother. 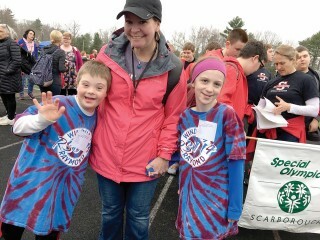 The Cumberland County Special Olympics was held on Friday, April 28 at the Bonney Eagle High School. The Jordon-Small Middle School had a sendoff for two of their participants.